Money Smart Week is a nationwide event about something that’s important to everyone: personal finance. From learning how to count money as a child to improving your credit score to developing the best retirement strategy, the subject touches people at all stages of life. For most of us, it’s also an area where we can improve. This year, Money Smart Week will be held from April 21-28 and will feature events, workshops, and resources to help consumers better manage their personal finances. It’s a time to learn, reflect, and improve on the foundation for our lives. Money Smart Week is also a great opportunity to increase public awareness about gambling addiction – also known as the Hidden Addiction – and provide support to anyone in need of assistance. Gambling can become a problem for all kinds of people, from children to seniors. A gambling addiction may start with problems in personal finance, but it can spread to many other facets of life. For example, statistics show that an average of 8-10 additional people are negatively affected by each case of problem gambling. Watch for Money Smart Week events to pop up at libraries near you, like free workshops and educational events. The Florida Council on Compulsive Gambling has reached out to Florida’s libraries with the opportunity to order free educational materials focused on problem gambling and personal finance. We’ll be passing along information on these events throughout the month of April! The FCCG will be sharing Money Smart Week on social media using hashtag #MSW2018. We welcome you to follow us and help share what’s going on in your community! 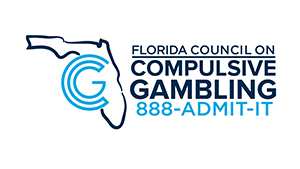 For questions or additional information, please call us at (407) 865-6200 or visit www.gamblinghelp.org.